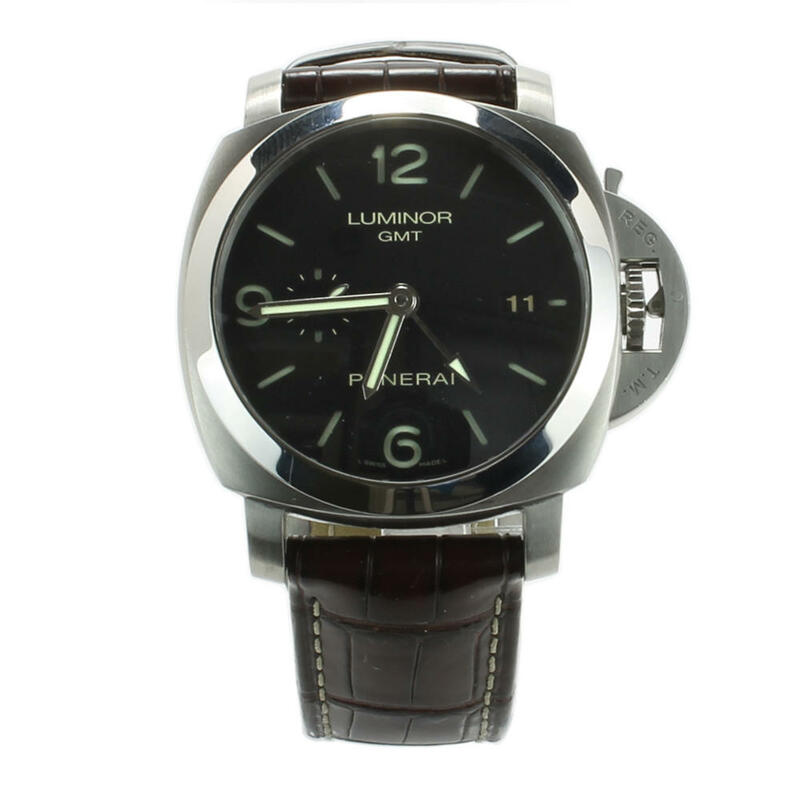 Pre-owned 2014 Panerai Luminor GMT with black dial and a black Crocodile strap. This watch comes with complete with box and papers. Movement Automatic mechanical, Panerai P.9001 calibre, executed entirely by Panerai, 13¾ lignes, 7.9 mm thick, 29 jewels, Glucydur® balance, 28,800 alternations/hour. Incabloc® anti-shock device. Power reserve 3 days, two barrels. 229 components.